I have followed President Yoweri Museveni’s recent visit to South Africa and Kenya, very closely. 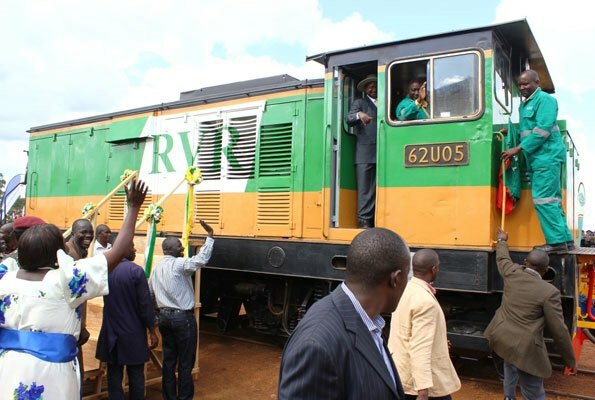 From Mombasa he rode in Kenya’s latest train Standard Gauge Railway manufactured in China. At one point I knew that both Kenya and Uganda had been accorded a similar credit by China to build similar SGR railways. But now our President is going to other countries to ride in trains that he should be riding here at home. He toured the Mombasa Port to ascertain how our goods are being moved. Then he came to Nairobi where he addressed the Nairobi University students. These students were not respectful to our Head of State. They heckled him asking him, why he had ridden in the Kenya SGR train. In effect they were saying that Uganda should build its own SGR train. What happened to our train? If the Chinese gave us the money for building a similar train to the one President Museveni rode in Kenya, where did the money go so that we do not have the train? The minister of Works, Monica Azuba Ntege, should tell the people what happened so that Kenya has the train, and Uganda does not have. Now, she is rushing to get Uganda Airlines flying, yet there will be a lot fewer Ugandans who will board those planes; yet there would have been millions of Ugandans who would have boarded the SGR railway wagons.